Elijah Shiffer And The Robber Crabs. 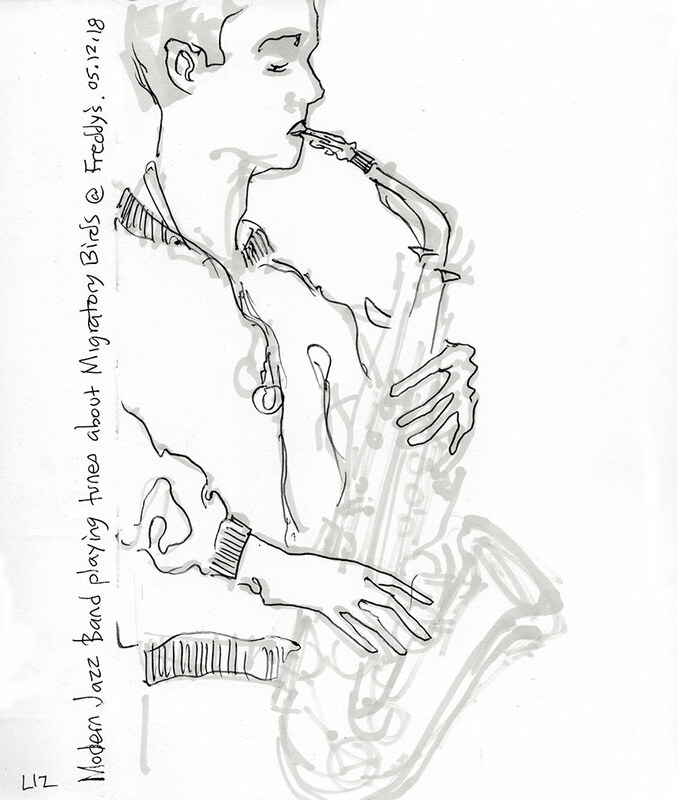 The sax player had a sort of steam punk-looking alto sax— it had a machine-like patina not generally associated with such an instrument. . I began to draw it, but with so much detail amid all the movement, it was difficult to pin down. Anyway, I quite like this sketch, even unfinished.